A mixed-use “transit-oriented” redevelopment project intended to help revitalize the aging and underutilized South Avenue corridor in downtown Cranford, NJ. 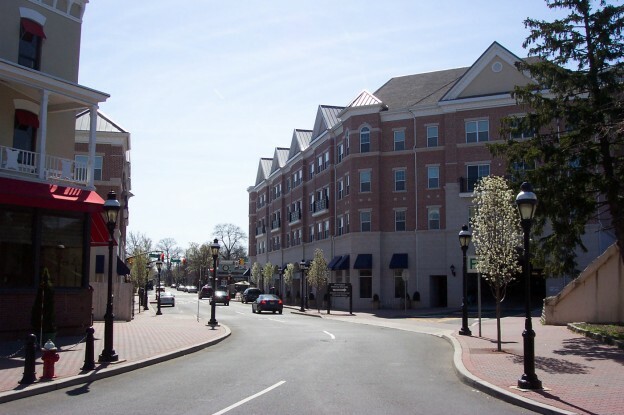 Built on an existing municipal parking lot directly adjacent to the NJ Transit train station, the project was conceived by the Township of Cranford and constructed as a joint-venture partnership with the winning developer. Their agreement included the sale of the land for two mixed-use residential/retail buildings to be owned by the developer, but with a large parcel to remain for a new municipal parking garage and be sold back to the Township. Minno & Wasko played a key role in this ground-breaking and successful public/private sector team-approach to the design and construction of the property. Attached to a six-story, 310-space municipal parking deck, concealed behind the mixed-use buildings, with bulk spaces leased to NJ Transit train passengers as well as community residents/tenants. This entry was posted in Transit Oriented on September 5, 2012 by swolock.